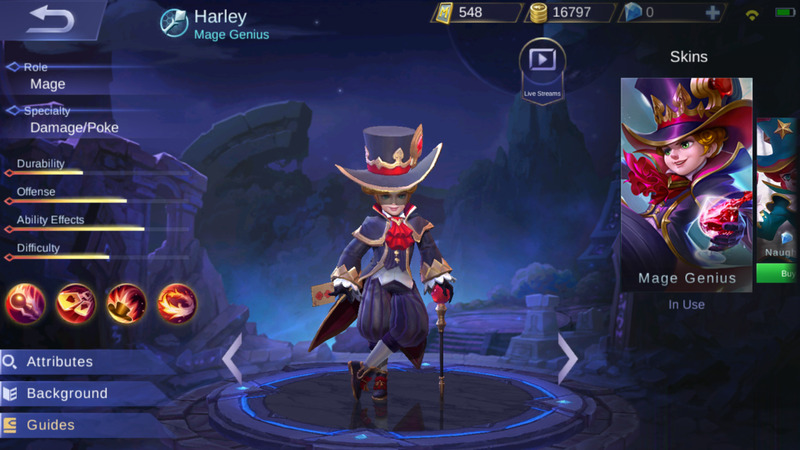 Do you like playing as Harley in Mobile Legends? Magic Master (Passive Skill) – Harley’s basic attacks deal 60 (+50% Total Physical ATK) (+60% Total Magic Power) magical damage. Poker Trick (1st Skill) – Harley throws multiple sets of cards in a wide area in front of him dealing 150 (+20% Total Magic Power] magical damage per card hit. After 3 hits on the same target, the damage of the succeeding cards decay. This skill also increases his attack speed by 5% per card hit for 3 seconds. Space Escape (2nd Skill) – Harley warps to a short distance in front of him increasing his movement speed by 30% for 2 seconds and leaving his hat in his initial position. Within 4 seconds, he can use the skill again to return to his hat. Deadly Magic (Ultimate Skill) – Harley tosses a ring of fire towards the enemy dealing 200 (+60% Total Magic Power) magical damage and slowing them down by 1.5 seconds. Afterwards, the ring of fire engulfs the enemy absorbing continuous damage for 4 seconds and dealing 100 (+30% Total Total Magic Power) magical damage as well as 40% of the damage taken by the enemy during the period as final damage. 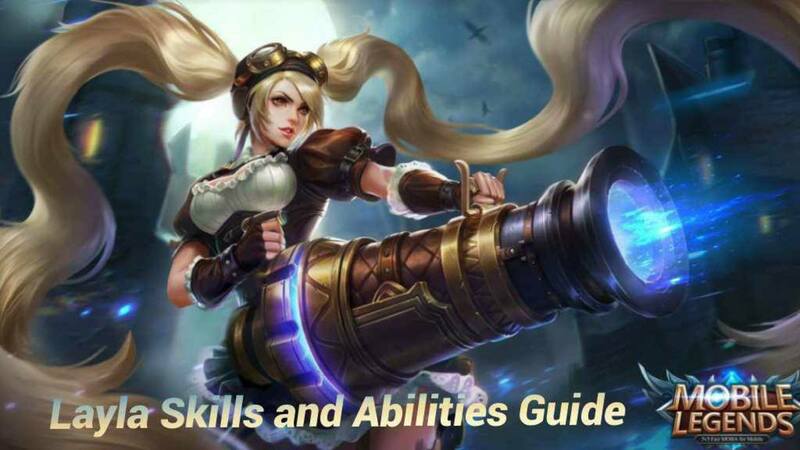 For an in-depth guide on Harley's skills and their proper usage, be sure to check out this Harley Skills and Abilities Guide for information. 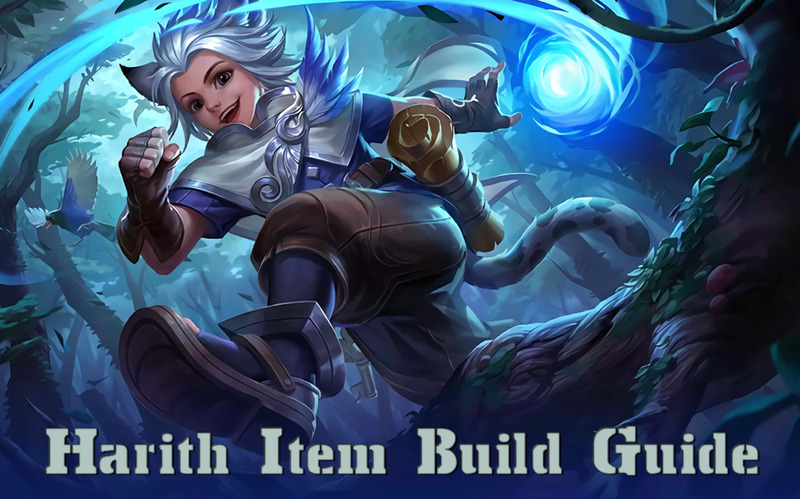 If you're looking for better item and equipment suggestions, then be sure to check out this Harley Item Build Guide for a definitive elucidation of the various gear builds fit for Harley. Execute – Deals 240-800 points of true damage against an enemy hero. This skill grows with level. 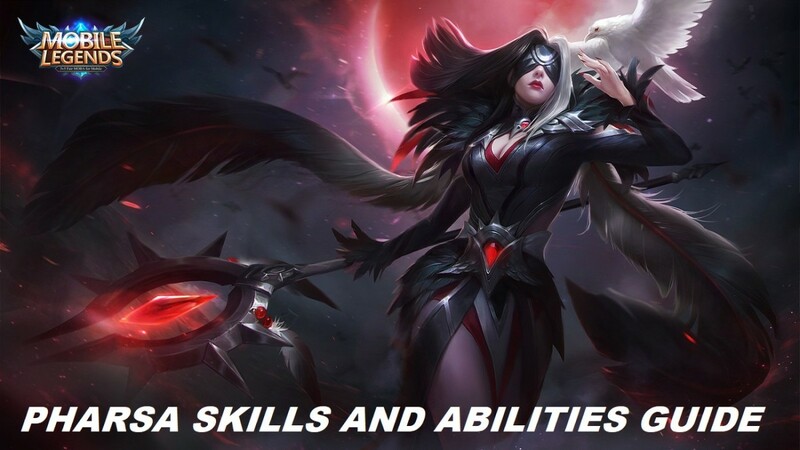 This skill helps a lot whenever you're trying to gank the enemy. The extra damage sure goes a long way especially if you're trying to deal the final blow. Purify – Removes all negative buffs and grants immunity. It also increases movement speed by 30% for 1 second. This skill can come in handy whenever you're in a pinch or are unable to make a quick escape because of debuffs and disables. Just use it and you will be able to move as please once again. It also increases your movement speed for 1 second as an extra mobility bonus. This is one of the tactics that makes Harley truly formidable in battle. He doesn’t even need to close the gap between him and the enemy. All he needs to do is use either his basic attack of Poker Trick to deal sustained damage against the enemy. Depending on how well a player can use Harley, no one can touch him without getting away from him unscathed! You hit the enemy and then run—and that’s it! Since Harley’s mobility is outrageously high thanks to his Space Escape, this Hit and Run strategy truly hurts and even adds insult to injury. Always remember: Hit the enemy hard with Poker Trick whenever it is available, and then retreat! If you have allies nearby, let them march towards the front or even deal the finishing blow. That way, you can ensure that you’re always safe from harm and death. And this folks, is the way to properly employ the Hit and Run strategy. Harley can be very annoying. Not only does his Poker Trick have a very extensive range, it is also spammable! Nothing pokes more than his Poker Trick. Cards fly everywhere! There’s no end to them! Each card may be weak, but there’s strength in numbers. At first, enemies will get annoyed. Thereafter, they will be so annoyed they won’t even notice that they have already been destroyed. With this Annoy and Destroy strategy, you just have to annoy the enemy with your Poker Trick until their HP slowly withers away. And then, you deal the final blow! Don’t worry getting hurt because you have Space Escape to rely on whenever you’re in a pinch. Just continually harass the enemy until they die. All of Harley’s skills work very well with one another. That is why he is the embodiment of a magical disaster. All of his skills are painful and dangerous—especially if used one after another. With the Magical Disaster strategy, all you have to do is dish out everything you have in one go. Be sure to start with Deadly Magic then followed by Poker Trick. If you have the battle spell, execute, then use it as well for more lethal damage! 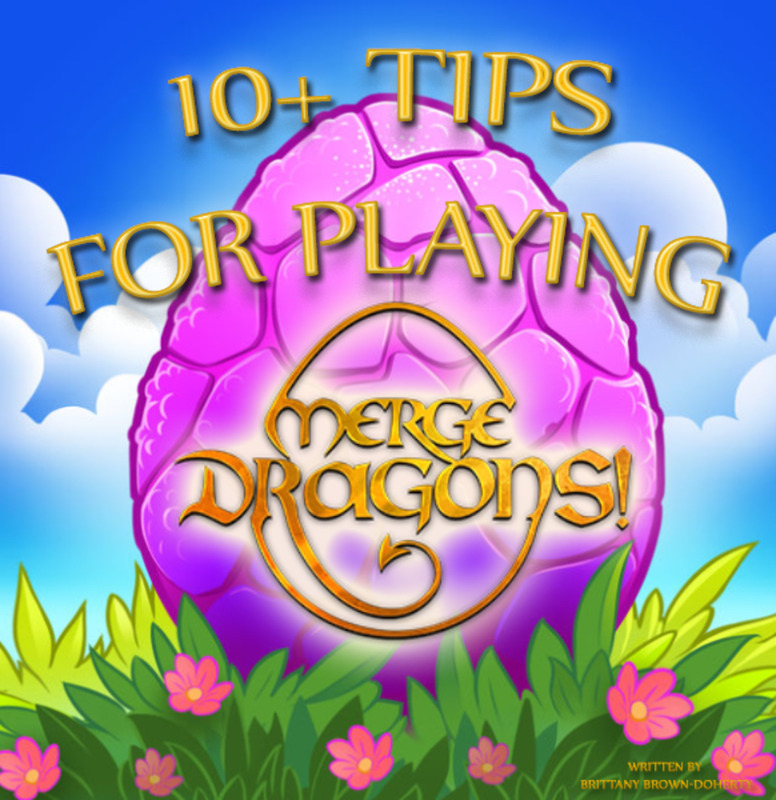 Once you bombard the enemies with all your skills, there’s a big chance that nothing will be left of them. This strategy is good for one-of-one especially if the opponent is already damaged or totally unprepared for your gank. This strategy is also good for team fights especially if you have tanks in your team or other players that will serve as distraction for the enemies. The opposing team won’t even notice what hit them. All that will be left of the battlefield are the ruins of a magical disaster filled with dead bodies from the opposing side! Which of these strategies do you prefer? Use Space Escape whenever you can. It is your lifeline and the reason why your mobility is outrageously high. Take advantage of your hat return trick. Once you use space escape, you are free to use it again within the next four seconds to return to your initial position. You can use this to create another escape plan or a diversion. It is a very versatile trick to use to make a fool out of the enemies. Spam Poker Trick like there’s no tomorrow. With its extremely low cooldown and mana cost, you can spam it to create an endless barrage of cards. It is, after all, Harley’s bread and butter, as well as his main magical trick. Always use Poker Trick after Deadly Magic. This should be obvious. Poker Trick works best after casting Deadly Magic on an enemy. Due to the fact that Deadly Magic does some bonus damage equal to 40% of the damage received by the enemy during the ring of fire’s time period, it is a no-brainer to use Poker Trick to add a lot of potential damage. Don’t Die. The lesser you die, the better! With Space Escape at your ready disposal, it is actually very possible for Harley to not die in any match. Jungle Early. Poker Trick is actually pretty useful early game. Just two hits of this skill and some basic attacks will do the trick for most jungle monsters. Not only will you get extra gold, you also get experience to unlock your ultimate skill sooner. Harley is a mage, and also a marksman and an assassin! Harley fits the role of all three deadly classes thanks to his long-range attacks, powerful assassination-worthy skills, and outrageous mobility! Mage, Marksman, and Assassin—say no more because Harley is here! Everyone fears your Deadly Magic (yes, even tanks!). As I’ve already said, Deadly Magic deals bonus damage equal to 40% of the damage received by the enemy during the ring of fire’s time period. As such, even the most hardened of tanks would know not to risk everything just to attack with the ring of fire surrounding them. There’s a big chance that the enemy will fall back after they get hit by Deadly Magic. Use this psychological nuance wisely! Go Midlane. 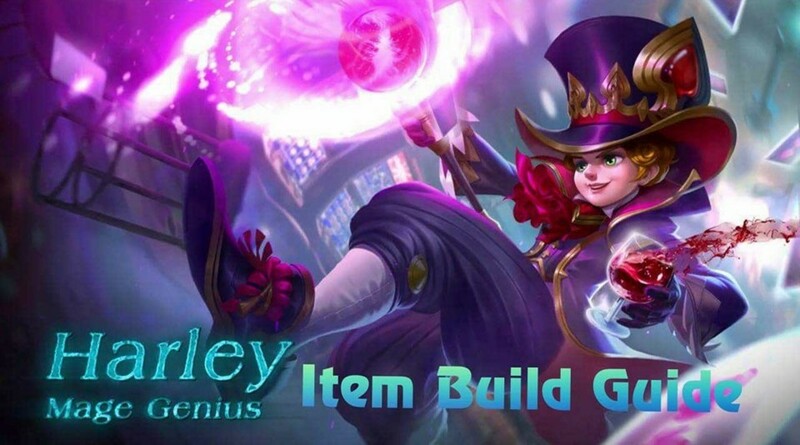 The middle lane offers a lot of versatility for Harley. He can freely gank anyone around the map at any time. Also, the jungle monsters are easier to access through the middle lane. 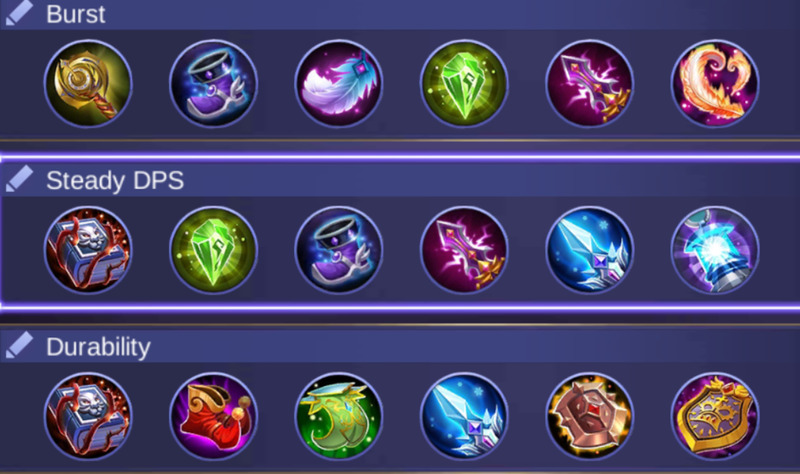 Items that raise Physical ATK are also beneficial to Harley. 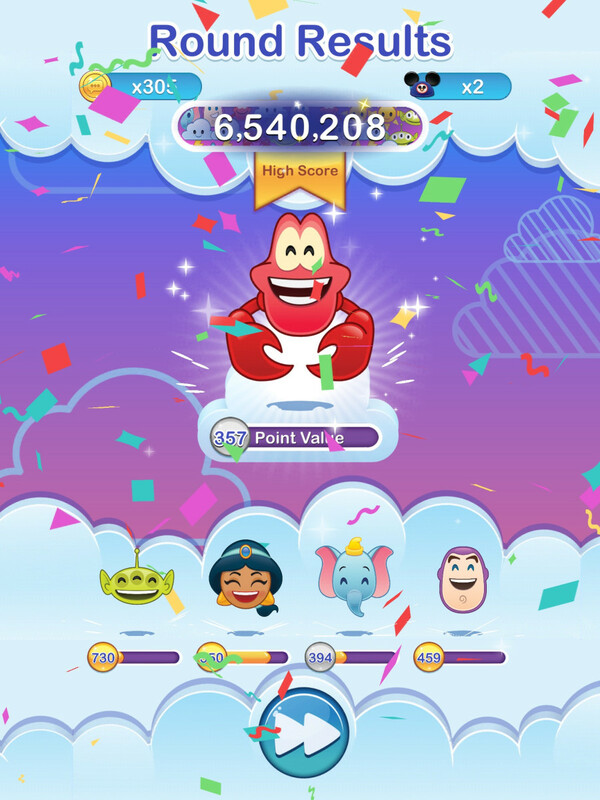 Magic Master makes this possible. 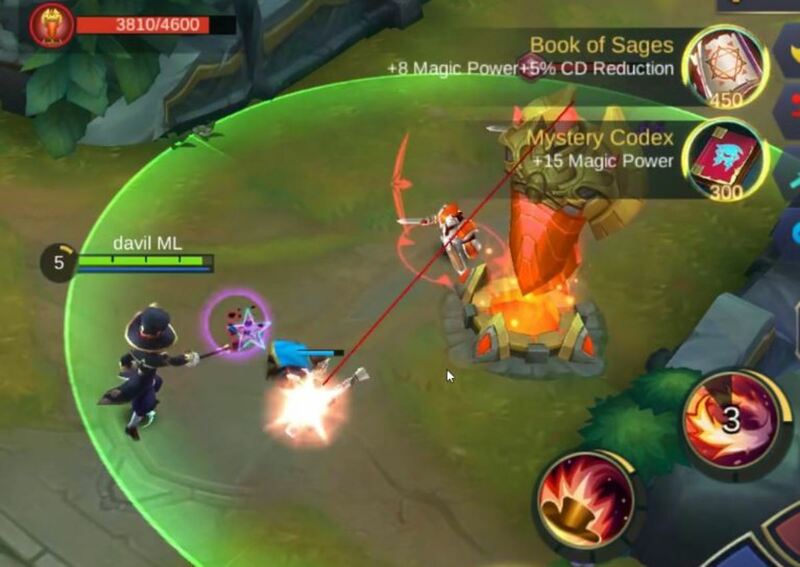 Harley basic attacks get 50% magical damage from items that raise Physical ATK. This gives you more flexibility in choosing items and mix-and-matching them. Normal Lifesteal doesn’t work for Harley! Always keep this in mind. Harley’s attacks are always in the form of magical damage. Hence, only Spell Vamp works for him. Don't worry, even Spell Vamp works for your basic attacks. 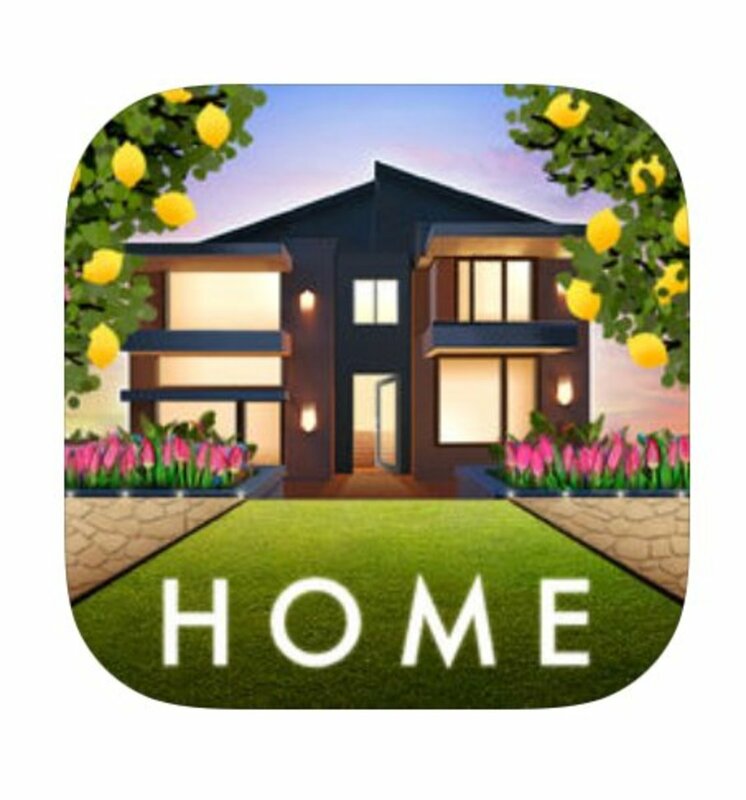 You can use Poker Trick while moving. This is another special trick from Harley. He can move while using Poker Trick. As such, he can deal damage while chasing enemies or running away from them.